The History of Udai Bilas Palace, Dungarpur, Rajasthan dates from the mid-19th century, when Maharawal Udai Singhji-II, a great patron of art and architecture, built a wing of bluish grey local stone �Pareva� overlooking the lake and the �Ek Thambia Mahal�, featuring intricate sculptured pillars and panels, ornate balconies, balustrades, bracketed windows, arches and frieze of marble carvings, a veritable marvel of Rajput architecture. 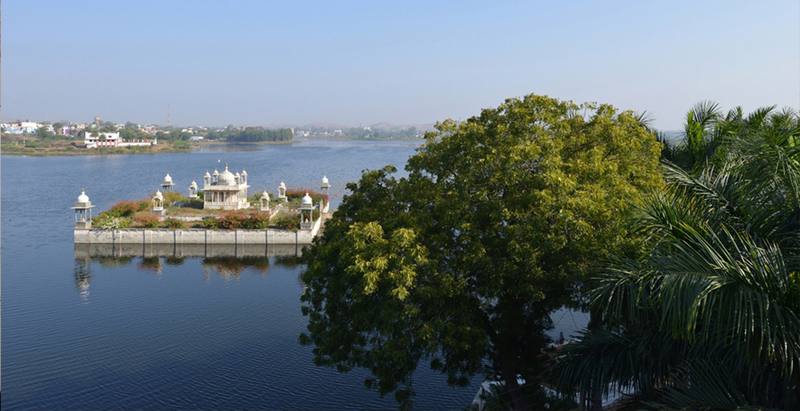 Dungarpur is full of surprises and promises to be a memorable experience in your journey across India. Dungarpur the �City of Hills� was founded in the 13th century and rose to fame under the Guhilot Ahara Suryavanshi Rajputs, who trace their ancestry from the elder branch of the main lineage at Chittorgarh. The cousins however came together to fight many a historic battle against the invaders. Some 700 years later, Dungarpur is still a picturesque town set amongst the rugged peaks of the Aravalli mountains. The Udai Bilas Palace was enlarged in 1940 by Maharawal Laxman Singhji, who built three new wings around the �Ek Thambia Mahal� (literally onepillared Palace) and thus created the famous �courtyard� of the Palace. The result is an architectural expression exquisitely detailed. Still the royal residence, the Palace offers accommodation in the house-guest tradition with twenty spacious, airconditioned and lavishly appointed bedrooms, seven double, three single and ten suites. No two rooms are alike, simply because no two guests are alike. From suites to guest-rooms, each enchants with its own personality, spaciousness and modern comforts for a unique experience. 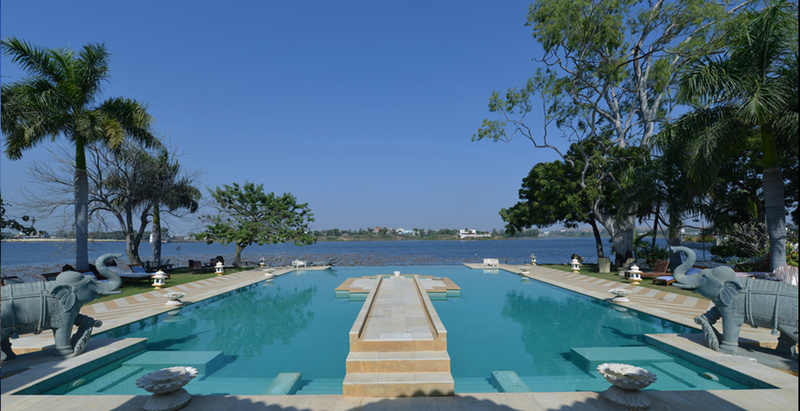 Standard Rooms -The Udai Bilas Palace has excellently setup Heritage Rooms which offer a peep into the royal lifestyle. Adorned with vintage upholstery and antique furniture the rooms are a traveller�s delight! The rustic beauty of past is displayed all around in these rooms. 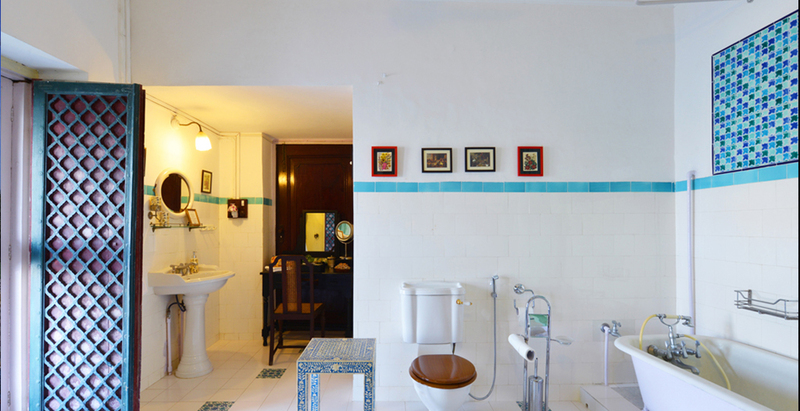 The finery and furniture exude a vintage charm which is bound to leave the explorer in you, mesmerised. Treat yourself to the life of a royal scion. 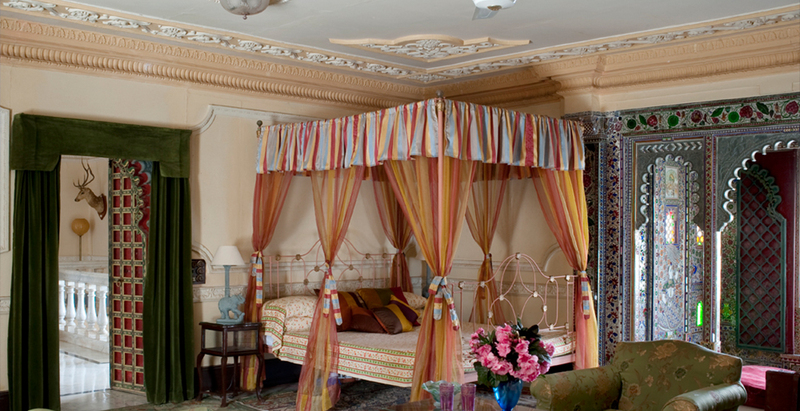 The rooms display the very best of antiquities and vintage upholstery from the bygone era of princes and kings. Maharawal Suite A King�s life for you. A stay in these rooms is definitely an unforgettable experience! Udai Bilas Palace, has 23 beautiful Rooms :Single Rooms: 02 ; Double Rooms: 04; Superior Suites: 05; Grand Suite: 08; Art- Deco Suites: 03; Maharawal Suite: 01;. Buffet Breakfasts and Dinners especially during winter months will now be served in the partially open to sky dining area � Zenana Chowk . For lunches Guests usually prefer the quiet of the pool side. An exquisite table in marble with inlay work along the edges is the central attraction of the Zenana chowk while pebble work walls add a dash of extravagance to this unusual dining space. .The indoors of the Zenana is air-conditioned and has individual tables . Open arched entrances lead into the Zenana and are covered with ethnic bamboo curtains, much needed during the warmer months.